Cantor’s Driving School offers driving lessons and driver training in all areas of Martin County, Florida. Over 50,000 drivers have learned to drive with Cantor’s Driving School. Are you our next safe driver in Martin County? 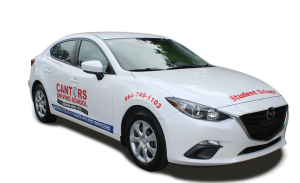 Cantor’s – The Driving School That Gets Results® in Martin County. Driving lessons can be conducted on roads in Martin County towns including Stuart, Palm City, Hobe Sound, Jensen Beach, Indiantown, Port Salerno, Sewall’s Point, North River Shores, Jupiter Island, Ocean Breeze Park, Rio and many more locations in Martin County and the Treasure Coast. Zip codes covered include 33438, 33455, 33458, 33469, 33478, 34956, 34957, 34974, 34990, 34994, 34996 and 34997. When taking driving lessons in Martin County, Cantor’s Driving School provides driver training on local roads such as Beach Rd, SE Dixie Highway / US 1A / Rt 5, Bridge Rd / County Rd 708, Pratt Whitney Rd / County Rd 711, Kanneer Highway / Florida State Road 76, Cove Rd, Martin Highway / Florida State Road 714, Warfield Blvd / Florida State Road 710, Florida State Road 732, Florida State Road A1A. For highway driving lessons, US 1 / Route 5 / SE Federal Highway, US Highway 98, US Highway 441, and I-95 / Rt 91 / Florida Turnpike are the most popular main highways. Teen drivers can be picked up at private or public schools in Martin County such as Jensen Beach High School, Martin County High School, South Fork High School, Stuart Community High School, Hobe Sound Christian Academy, The Pine School, Peace Christian Academy and Community Christian Academy. Click to view the list of driver license offices in Martin County for driver licenses, driving test and ID cards. Cantor’s Driving School offers driving lessons in Martin County. Use the Cantor’s Driving School contact form or call us at 954-740-1103 for further assistance with driving lessons in Martin County.